Call monitoring software is an important management tool and efficiency improvement for contact centers. It provides management with the ability to provide detailed and objective performance management for associates. It also can provide data and statistics that help shape business decisions. What are the benefits of call monitoring software? 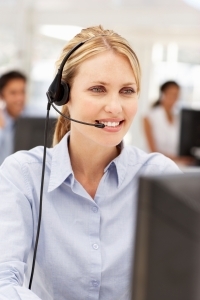 Call monitoring software is almost a given for a contact center of any size. Without it, it can be extremely difficult and inefficient to manage the business. • Objective performance management- Associate performance can be measured, and metrics applied, in a manner that is clear and objective. Understanding this can be motivating to employees and can incentivize better performance. • Quantitative statistics and data- Call monitoring takes the guesswork out of managing a call center. You can know exactly how many calls are received, how long they last, how they are resolved, and what they pertain to. This data can be aggregated and used to make decisions. • Lower costs and higher efficiency- As a result of the above mentioned data, staffing, training, scripts, and hiring can be adjusted to maximize performance and lower costs. • Improved customer satisfaction- Better managed and better trained employees provide better service- it’s that simple. What challenges are associated with call monitoring software? Why the benefits of call monitoring software are many, it is also not without challenges. Many of these challenges are related to selecting and implementing a software solution. There are a lot of choices for call monitoring software providers. Make sure that you find one who is reputable, well reviewed, and experienced with working with clients in your industry or similar to your company. Once call monitoring software is implemented, the results are only as good as the management put into them. Make sure your team is adequately trained to get the most out of your system. If you are interested in implementing call monitoring software for your inbound or outbound call center, contact the expert team at Evaluate Quality, founded by Sage Advantage, in the Phoenix/Scottsdale AZ area. Evaluate Quality can help your company design and implement the perfect call monitoring program for your unique needs. They will assist you with every step of implementation and management to make sure you get the greatest possible benefit out of your new system. Whether your business is in Scottsdale, Phoenix AZ, or elsewhere in the United States, Evaluate Quality can be your partner in center center monitoring and reporting. They are experienced in identifying and designing solutions that are tailored for their clients. Contact Evaluate Quality now to schedule your no obligation demonstration.